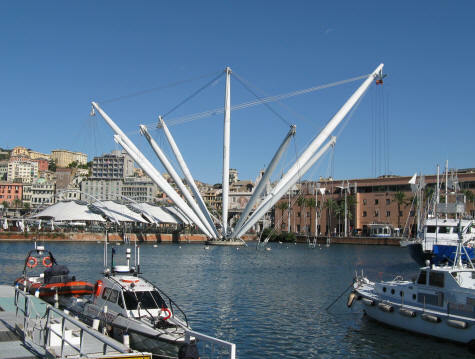 The Old Port of Genoa Italy (Porto Antico) has been transformed into a busy tourist centre. Visitors can stroll along the harbor and visit numerous museums and tourist attractions along the way. Popular attractions around the old port include Genoa's famous Aquarium, Galeone Neptune (pirate ship) and Grande Bigo (an arial ride). The ferry terminal and cruise ship terminal are also located quite close to this central tourist area.